It was an eventful weekend for LPS athletes at all points of the compass. James Loftus travelled to Northern Ireland to run the Armagh 10K in memory of his grandfather who was born there. Although pressed hard by a local lad he maintained his consistency throughout and came home the winner in 33.48, a personal best. 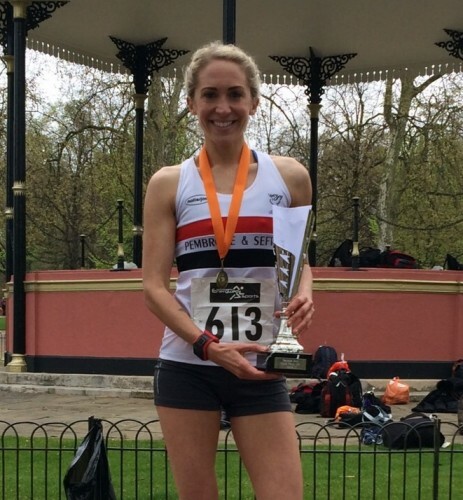 Meanwhile in the capital Lisa Gawthorne tackled the Hyde Park 10 finishing 42nd in 40.15 but taking the second female prize. Next at Astley Park for a highly competitive 10K. Kirsty Longley(36.40) accompanied by Mark Wynne(36.40) finished 55th and 56th followed by a trio of our ladies, Clare Constable ducking under 40 minutes(39.59) in 109th, Sam Wade(40.54) 133rd and Lauren Wilson(42.06) 158th. More locally at the Croxteth Hall 5K Park Run Sammy Rashid first-timed in 4th spot with 17.40. The following three all achieved PBs, John Halson 10th with 18.30, Robbie Wood 23rd with 20.10 and John Dobie 46th in 22.41. First timer Mark Bleasdale was 47th with 22.45. Finally, Ed Latimer, running for Liverpool Harriers in the Youth Development League at Blackburn, defeated athletes up to two years older in the 400m with a superb 51 seconds dead, equalling his PB.